This time Indie went right through it and broke it. 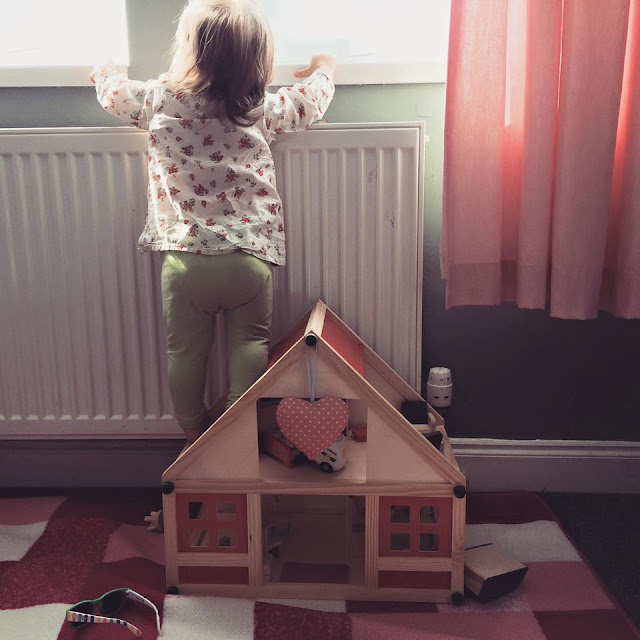 The wood is quite splintery and it wasn't fixable, and whilst my first thought was to get a new one, I soon realise that whilst she's at the age she is where she things everything is a climbing frame it would be a silly idea. That night I was scrolling through Instagram and saw someone had this in their little girls room and I fell in love. 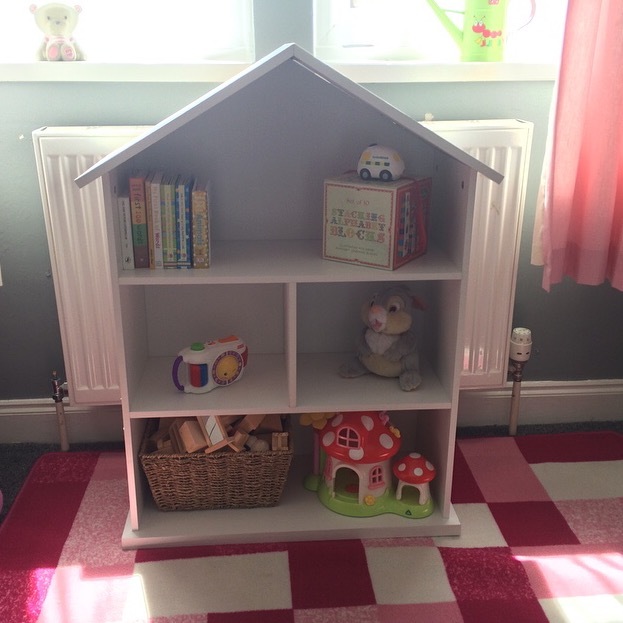 It's called the 'Mia Dolls House Bookcase' and it's actually from Argos. It's got space for Indie's dolls house furniture and shelves to put it on, space for her books and her miscellaneous toys. It is pretty sturdy too and I think it's quite unusual as far as bookcases go. We've since moved it to somewhere else in her bedroom where it fits in a little better and I literally love it.